WC 5000-B series video wall controller can be configured with the following inputs and outputs: 4K input capture and 4K output to screens. We offer options for on-site installation tech support and training. 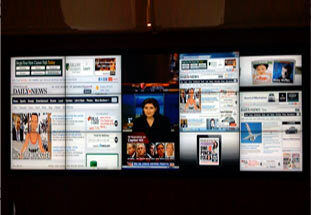 Our wall control panel software makes our video wall controllers the easiest to use. 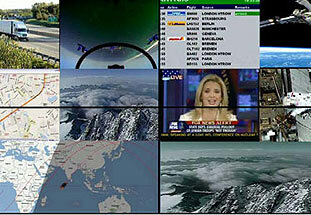 4 to 48 Native Display port outputs can be configured to DVI or HDMI with active adapters. Display port output resolution up to 3840 X 2160 per screen. DVI/ HDMI output Resolution up to 1920 X 1200 per screen. 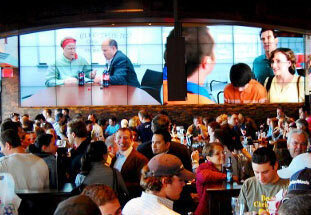 1 to 64 inputs of any combination, DVI / HDMI /DVI Dual Link / Display Port /VGA / HD Component / HD-SDI / SD-SDI / 3G-SDI Inputs. 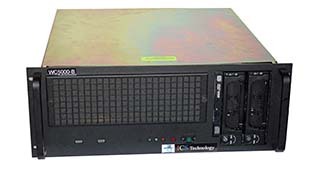 Video over IP cameras /workstation desktops are captured directly on the WC5000 unit using a network /decoder capture card with gigabit network input. You can capture and decode up to eight 1080P H264 inputs on each card. 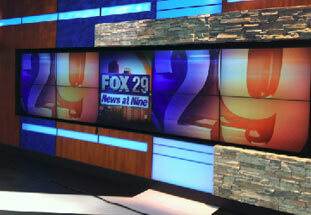 These inputs are fully scalable and can be placed anywhere on the video wall. This IP capture card can also capture workstation desktops over IP with the use of the ICS H264 encoder. 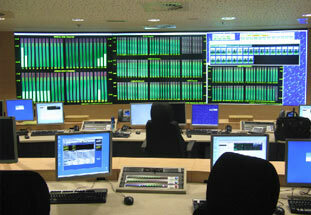 This unit will encode desktop display into H264 and stream it over the network with an IP address that can be captured and decoded by the ICS video wall controllers. For additional information contact your ICS salesperson. We support control devices: Crestron, AMX and all other third-party control units that can transmit a script code over RS-232 or Telnet. 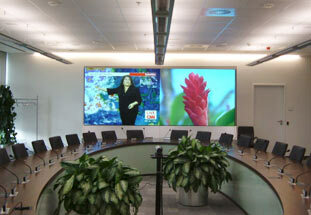 The WC2500 video wall controller can do all the same as above but with a limited number of inputs and outputs. You can also reach us via our contact form, click here.